Who Should Oliver Stone Cast as Edward Snowden? Oliver Stone calls the narrative at the center of Guardian journalist Luke Harding’s tome The Snowden Files: The Inside Story of the World’s Most Wanted Man “one of the greatest stories of our time.” With the announcement that Stone will work closely with the British newspaper to adapt the book into a big-budget Hollywood movie, the next question becomes our headline. 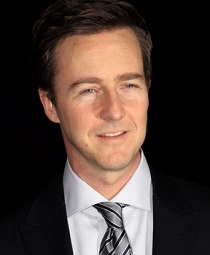 The first name that popped to mind for FishbowlNY is Edward Norton, and not just because he shares the same first name. Yes, Norton is considerably older than the 30-year-old Snowden, but this terrific, fiercely intellectual actor could easily handle that challenge and certainly wouldn’t be the first thespian to portray someone younger on screen. Norton previously starred in Stone’s 1996 drama The People vs. Larry Flynt. Another way to go would be Ryan Gosling. The Canadian-born star just wrapped a role in Terrence Malick‘s new project and this could be the next perfect expansive step for him. Some other possibilities: James Franco; Chris Pine; Armie Hammer; and an American-accented Robert Pattinson. Last month, Sony Pictures separately optioned the rights to Glenn Greenwald’s book No Place to Hide. 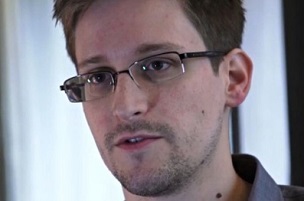 Who do you think would be a good match for the part of Edward Snowden in Stone’s film? According to Variety‘s Justin Kroll, Stone has offered the Snowden role to Joseph Gordon-Levitt and the actor has accepted. All that’s left to be finalized is the deal.